Class 4: Mondays, Feb. 25-April 8, 7-8 p.m.
Register in advance. Group guitar lessons are a great way to explore the world of music and gain a fundamental knowledge of and love for the guitar. Students will learn the basics while playing both modern and classic songs. Classes are appropriate for beginners and those with some previous experience. The instructor is Jon Armstrong, a 28-year teaching veteran who holds a Bachelor of Arts in Music Education. 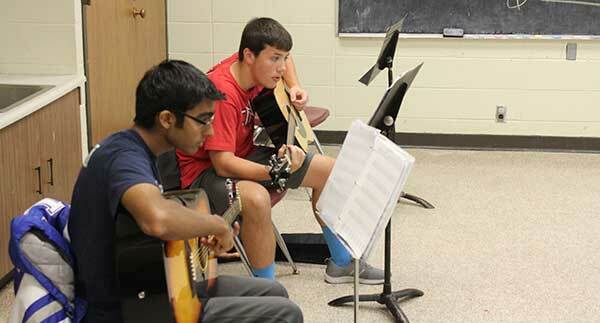 Students must bring a binder and a six-string acoustic guitar or an electric guitar with an amplifier. Guitars may be purchased from the instructor. Contact the park district for pricing, (513) 388-5082.